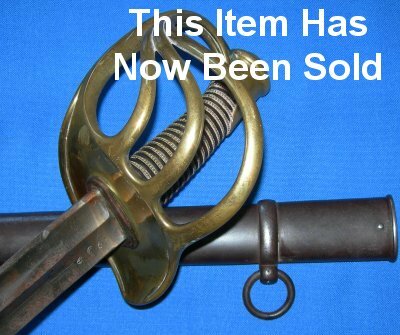 In very good condition, a scarce Model 1816 French cuirassier / heavy cavalry trooper's sword, dated 1819. This 1816M is in the best condition we have ever seen. 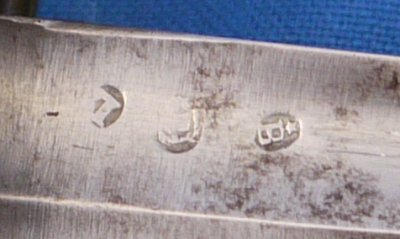 Although the blade is dated to January 1819, from the construction, we believe this is actually a blade made during Napoleonic times with the old date inscription removed and a new one added, which was quite a common practice to utilize older yet still serviceable blade but to remove anything "Imperial" on them. 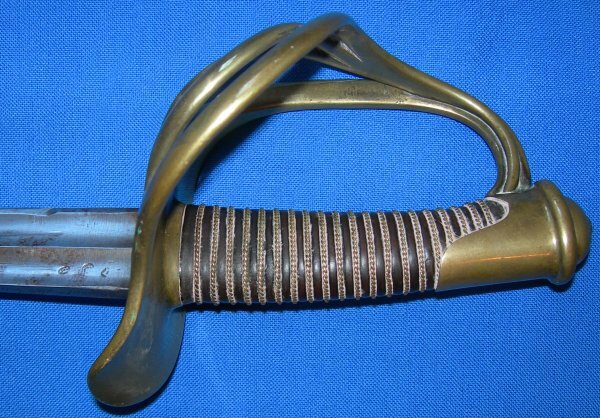 We say this because the blade's forte and flat spine is indicative the blade once was fitted into (or made to fit into) the Napoleonic An XIII predecessor of the 1816M, and that the inspection marks (poinçons) confirm this. So the blade may well have seen some action previously under Napoleon's Grande Armie before being redated and remounted into an 1816M. 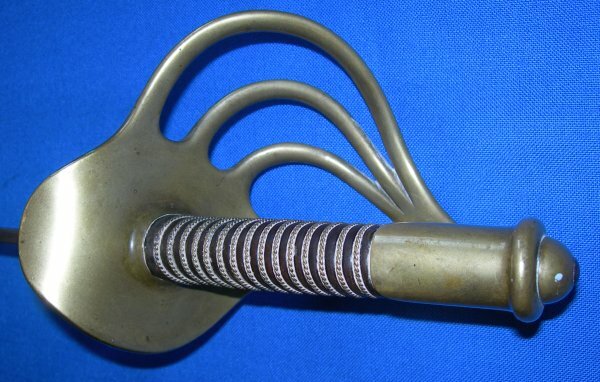 In any event, this is a fine sword and in great condition. The 37 1/2 inch spear pointed blade is in excellent shape and firm in the hilt. 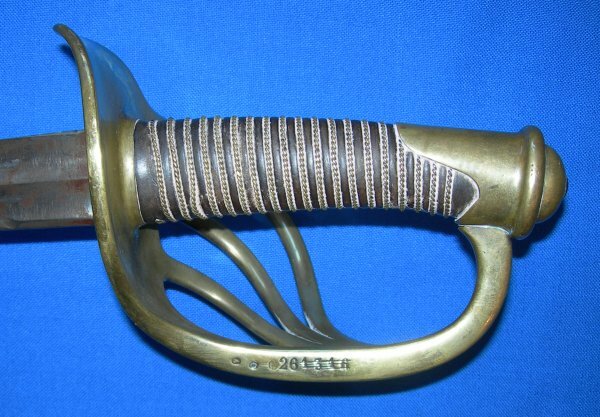 The hilt condition is very good and the grip, which normally is aged, is in very good condition with the twisted grip wire bindings intact; perfect! The browned steel scabbard is also very good; the sword sheathes and draws extremely well. This is a well above average example. We consider this to be a golden opportunity and superb investment. Please quote item reference F58 (912). Further / full sized images available upon request.